Bud Stoddard is a successful serial entrepreneur who has founded eight different companies in the information management and data storage industry. His companies have included MicroMedia, DataVault, TeleVault Technology, AmeriVault, Certified Backup, NextVault, Breakaway Properties, and Directional Command. Currently, Bud is a Venture Partner of Adrenaline Fund, an early stage venture fund that was established to fund early stage and pre-revenue companies in Southwest Florida. Bud also plays an active role in the Tamiami Angel Fund and is a board member of the Lutgert School of Business at Florida Gulf Coast University. 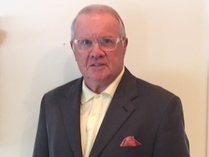 Bud has been a regular mentor, coach, and speaker at Florida Gulf Coast University and Ave Maria Law School and assisted dozens of aspiring entrepreneurs in their journey.